If your business isn’t taking advantage of the power of influencer marketing, it’s time to wake up and smell the opportunity. Let me break it down for you. Influencer marketing is when companies make use of influencers’ relationships with their audiences. An influencer is anyone with a social media presence that focuses on a particular skill, hobby, or passion. They gain a following by appealing to everyday people who share the same interests and by developing a personal “brand” that they’re known for. According to 71% of marketers, the key to influencer marketing is having effective brand ambassadors. Brand ambassadors help your business by using their influence to bring positive attention to your company, in a variety of ways. If you’re an old dog who’s not down to learn new tricks, here’s why you should think twice before you write off influencer marketing as a young person’s game. Traditional ads are a nuisance. When a TV commercial or radio advertisement come on, you change the channel. When paper advertisements come in the mail and marketing emails flood your inbox, you toss them out immediately. Unlike these traditional forms of advertising, people choose to consume media from the favorite influencers. Whether you’re following an influencer on Instagram or subscribing to their YouTube channel, you are making an active choice to hear what they have to say. Still not convinced that traditional advertising is on its way out? Consider this: 40% of Americans have downloaded ad-blockers to their laptops. That’s the equivalent of plugging their ears and singing at the top of their lungs to avoid your traditional marketing methods. Meanwhile, they’re looking forward to their favorite influencer’s next post. Big celebrities were the original influencers. Name and face recognition from their fame as music, television, and movie stars made them successful brand ambassadors. Today, just 3% of consumers are actually influenced by celebrity endorsements when they make their purchasing decisions. The rise of social media influencers. On social media, followers of a successful influencer feel like they are part of a community. They almost feel like the influencer is their friend. Influencers owe their success to their ability to relate to their audience. As a result, when a social media influencer makes a recommendation, shares their experience, or expresses a goal, it resonates with their following. To sum up, people make the decision to engage with influencers on social media and they have trust in their favorites. This is the perfect combination from a marketing perspective because it means followers are eager to be influenced! As a result, influencers make great brand ambassadors because they bring a huge amount of positive attention to a company. They also boost your credibility to other businesses, like at conferences and trade shows. You can check out boothdesignideas.com for help making your physical branding stand out. No matter how you slice it, good brand ambassadors convert positive attention to sales. 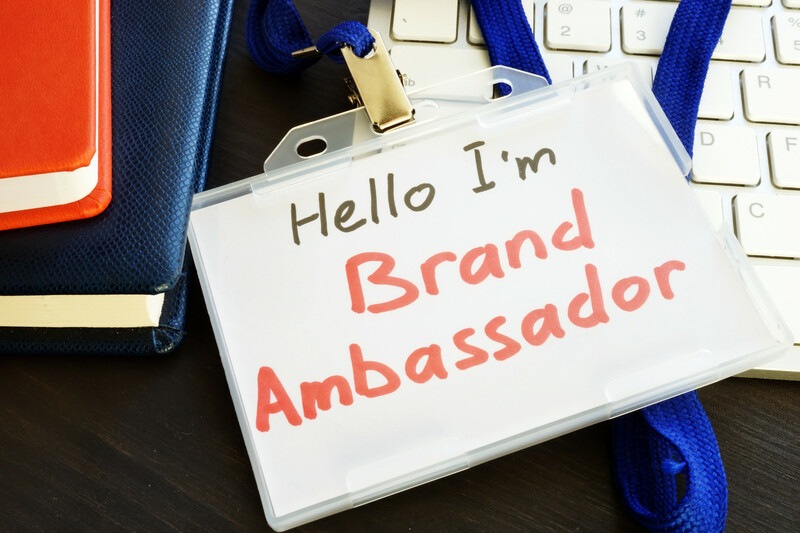 Not all brand ambassadors are created equal. So, we’ve put together a few guidelines to follow in your quest to build your brand identity with the ultimate brand ambassador. To clear things up, we’ll be using successful examples of each quality to look for in an ambassador. We pulled examples from the “beauty community” on YouTube because it’s one of the most influential, product-driven sectors of influencer marketing to date. Everything about your business should be focused on your target audience. Part of the reason people love their favorite influencers so much is that they see themselves in the influencer. They can relate. So, your brand ambassador should be part of the demographic your business is targeting. Of course, this means age, gender, and general interests. But you should also dig deeper. What does my target demographic do for fun? What are their goals and desires? What do they struggle with? A perfect example of this quality in a brand ambassador is the beauty YouTuber Desi Perkins. She recently collaborated with the brand Benefit Cosmetics. Benefit Cosmetics offers a wide range of beauty products, but they’re known for their popular eyebrow products. She collaborated with the brand to come out with a box of her favorite Benefit Cosmetics brow products, which they then sold in a deluxe kit. The campaign revolved around Desi’s own struggles to improve the appearance of her brows, which are naturally very thin and lightly colored. She emphasized her need for brow products that are quick and easy to use, and that makes her feel beautiful and confident. Desi not only fits the target demographic because of her age, gender, and interest in makeup. She also shares the same need as the target demographic: the need for a comprehensive solution to her insecurity about her eyebrows. Building a successful brand image includes figuring out what your business cares about – besides whatever you’re selling. Beyond the good publicity, it builds customer’s loyalty and trust in your brand when they know you care. A brand ambassador should reflect those values – the “why” behind your business. The best spokesperson isn’t just someone with a big following that fits your target audience. They’re someone whose values and connection to your company strengthen the trust you’ve worked so hard to build with your customers. For example, E.L.F. Cosmetics collaborated with the YouTuber known as Jkissa. On her channel, Jkissa prominently features her adorable, 3-legged pitbull named Tsuki and her newest pitbull pup named Zuma. She also frequently discusses her passion for adopting pets (pit bulls in particular, of course) and the importance of purchasing from cruelty-free makeup brands. Jkissa was an ideal brand ambassador for the company because E.L.F. is committed to producing cruelty-free products. Their products are high-quality and extremely affordable, two rare qualities in a cruelty-free brand. Through her brand ambassadorship, Jkissa promoted one of their newest releases, and for a limited time, E.L.F. donated 10% of sales to the charity of her choice: Angel City Pit Bulls. The charity advocates against the stigma around the breed, and works to get them adopted more regularly in Southern California. By choosing a brand ambassador with similar values, E.L.F. was able to reinforce their animal-loving mission to customers in a meaningful way. Their actions spoke louder than any traditional marketing move. This one sounds silly, but trust me. Find an influencer who’s been loving your business for a while already, and reach out to start a real partnership. The more organic your relationship with your brand ambassador, the better. Take YouTuber Kathleen Lights, for instance. She had been posting several videos offering demos and reviews of products from the cosmetics brand Colourpop for years, on her own. Eventually, she became an official brand ambassador for Colourpop, collaborating with the brand to create her own line of products. Because of her audience’s respect for Kathleen’s honest opinions, the collaboration was incredibly well-received. Since the start of her ambassadorship, ColourPop has released several collections with Kathleen, allowing her to pick themes and colors that she knew her audience would love. On top of the sales from her collaboration, Kathleen’s influence has contributed to sales by continuing to provide trustworthy reviews of various other items in the company’s product line. Finally, when you’re trying to build your social media presence with a brand ambassador, look for influencers who regularly engage with their following and comment on the relevant issues – as long as you agree with what they have to say. If you look at the comment sections in many beauty videos on YouTube, you’ll see a recurring issue: a lack of diversity in the shade ranges of beauty products. YouTuber Jackie Aina has always been very vocal about the issue, openly criticizing companies that only cater to consumers with lighter skin tones, neglecting the women of color that may want to try their products but can’t. She also consistently supports brands that are owned by women of color in a serious effort to bring diversity to the beauty industry. TooFaced Cosmetics recognized Jackie’s positive influence and collaborated with her to expand the shade range of one of their most popular products: the “Born This Way” foundation and concealer line. By acknowledging the lack of diversity in their products and working with Jackie as a brand ambassador, they achieved two things. First, they opened up their pool of consumers, gaining the trust from Jackie’s huge following of women they previously hadn’t catered to. More importantly, they made up for their involvement in the industry’s lack of diversity by associating themselves with a positive voice in the public debate. When looking for a brand ambassador, it’s all too common for companies to focus on the numbers. How many followers do they have? How many likes, comments, and subscribers? The key to an effective brand ambassadorship is to look beyond the numbers and consider the qualities they bring to the table. Ask yourself what matters to your company right now, and go from there. For more helpful ideas and resources for your business, visit our blog or browse our expansive provider list.